Hey there gamer guys and gals. I’m Richie and you’re reading IGCritic. In this weeks segment we’ll be focusing on video games that feature protagonists who possess caches of alternate costumes so extensive that they should have their own label. 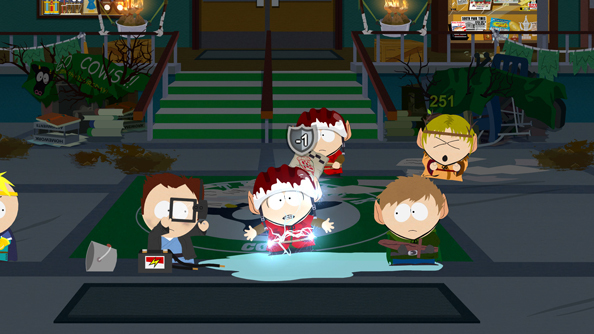 IGCritic proudly presents 7 costume crazy collectors in video games. Ah, Victorian London. A time of industry and revolutionary ideas. Though if anyone says these ideas involved steampunk as a trend of the times, you can count them as historically inaccurate. Alice always did march to the beat of her own drum, especially when it comes to the state of her mental health. In the real world she may dress down and drab as befits her station, but in her imagination she is fancily dressed for any occasion, no matter how many floating puss babies are involved. On her adventures she has a wonderland of clothes. She has a different dress for every level, every state of mind, utilising every oddity to ever boggle the brain cells. One mans fashion faux pas is another mans treasured trend. Form stylish steam punk, to royal red, to watery waif. Some costumes have ben inspired by the characters that help and hinder her. Yet no matter how hard we try, we cannot understand this tendril-esque flesh fashion. Kids today. People tend to forget that beneath the mask, Peter Parker is a very clever scientist. He is responsible for the classic red and blue we all know and love. Combine his intellect with his superhero know-how and he can adapt his costume as many times as it takes to “suit” his needs. He even clothed his way through his identity crisis, which produced some stunning spidey-alternatives. Our favourite costumes include the symbiote suit, both Ben riley suits and Spidey 2099, it is just so tech-shiny. Aside from Alien symbiotes and gifts from Tony Stark, he creates them all himself. He clearly loves his origional design. We all do. It’s been his stable fall back for decades. Yet every so often he just can’t help utilising his scientific creativity and sewing skills, thank you Aunt May, to envisage a new spectacular spidey suit. These days the games even include content from the comics and the movies. 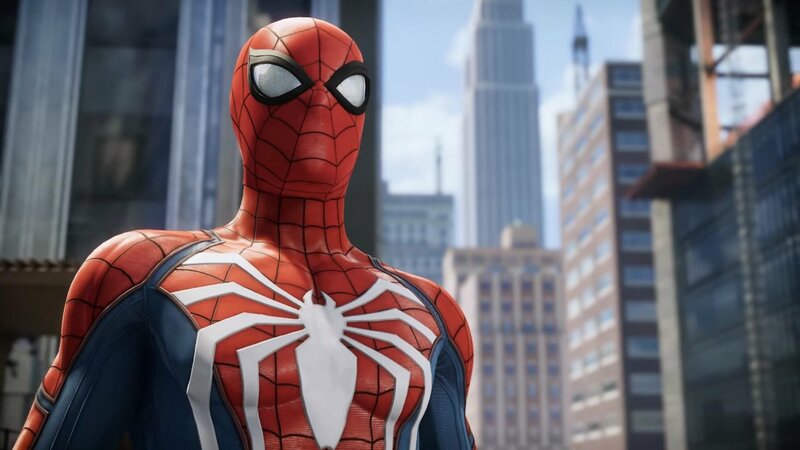 Who’s excited for the PS4 Iron Spider? Do you prefer the comic or the movie version? Comment on YouTube. For the longest time she stuck to her trademark tank top and shorts, even in the coldest climates. Eventually she gave in to the changing fashions ands extended her collection of costumes. There’s always jokes about girls with wardrobes the size of houses, but she actually has one, so why not fill it up with gowns and gear for exclusive events and extreme excavations. Check out the Lady in the Red dress. Her profession requires her to explore the harshest of natures environment and she must be prepared to confront any climate. The weather isn’t the only basis for her wardrobe. Depending on the specific game, her mansion holds many choices that should cater to anyones taste, whatever the quest ahead. Rest assured that however confining her evening wear, her dual pistols are always close at hand. Where does she keep those things. 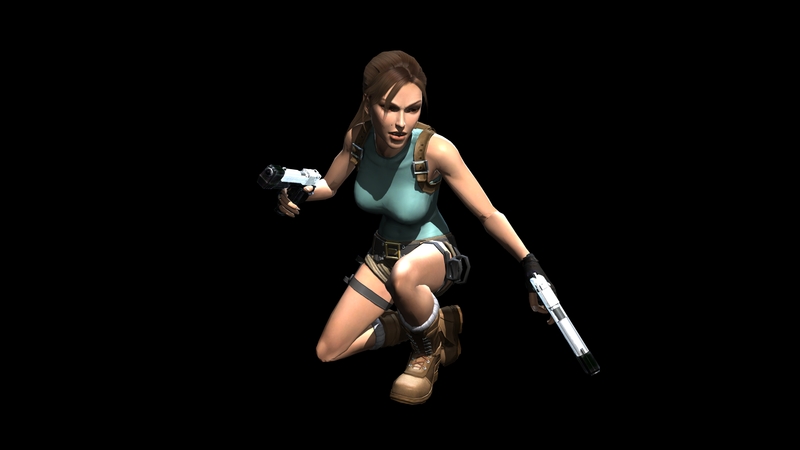 No matter what she wears, when it comes to action platforming, she has always been a golden gal. It was too good a pun to resist. 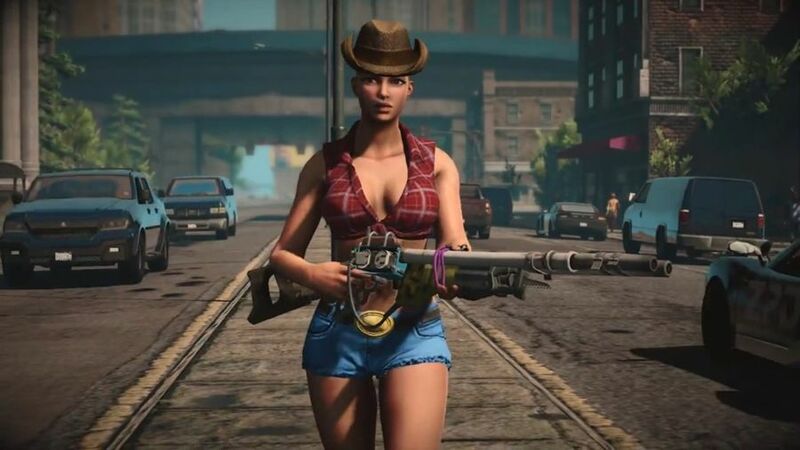 Even in video games, characters have their own unique sense of style. Wether they be adventures, archeologists, or even the president of the United States. Having nothing fancy to wear is not the end of the world. However when the end of the world actually happens, unless you happen to be a happy nudist, you will probably find an eternity in the same jumpsuit rather daunting, no matter how space-agey it is. When you live in a matrix-like simulated world, anything goes, and that includes how you want to dress. Or not dress for those happy nudists. By unlocking merch outposts scattered throughout the city, you can vastly expand your wardrobe for a nominal fee. The baddest boys in comedy finally graced mod gen consoles in the Stick of Truth and they bought all the cut out costumes with them. Check out their wardrobes in their respective houses throughout the town and discover knick knacks from the series. Can you name them all? The Developers have packed in as many easter eggs and fan favourites as they could muster, littering the neighbourhood with golden oldie goodies from the whole history of the series. And that extends to what you can wear and wield in battle. Yuna and the Gullwings are an adventurous trio, always facing danger with a fashionable flare. If you aren’t familiar with the gameplay of FFX-2, It’s like an amalgamation of Tomb Raider and Jem and the Holograms. Yuna the High Summoner is so crazy about collecting costumes that its part of her battle system. She can change on the fly any turn she chooses. No alterations of the clothes, they are as they come. As you change appearance, a new command set will open up in the battle menu. Mastering the art of the quick change is a hobby she shares with her girlfriends Rikku and Paine. Each dressphere bestows an outfit that grants a unique set of skills. Mastering the moves will prepare you for almost any given situation or maniacal monstrosity. By varying the costumes of the group, you’ll find a good mixture will compliment the teams effectiveness, or just get you pummelled. Wether your style is glamour or gadgetry, there’s bound to be an attack style that takes your fancy. Clothes aren’t only used to symbolise status and character. They can create a multitude of impressions, to appear warm and friendly, or instil fear into the hearts of criminals. Bruce Wayne has the bank balance and determination to do any batty thing he wants. Though he prides himself on keeping up to date with the latest military tech and equipment, he never forgets his roots and this is reflected in some of his many wardrobe choices. 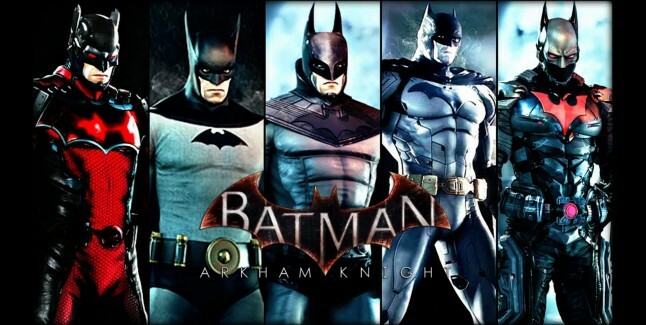 His apparel may not be as colourful as his superhero brethen, but thats no reason the Batman can’t have his own collection, or even arsenal of outfits to reflect his bat fetish. One of the most badass renditions is the one inspired by Batman Beyond, he looks like a one man army. He’s got a batcave of storage space, so why not? He can afford it. With his trademark scowl he would look menacing no matter what he wore, but put him in costumes like these, he becomes a living nightmare. With all that rooftop prowling his threads need to be durable, flexible with the adaptability to be both discreet and frightening. If colourful combat is more your thing, try Robin instead. Those were 7 costume crazy collectors in video games. Which is your favourite alternate outfit? Which character do you cosplay? Share with us your opinions and suggestions in the comments section on YouTube. As the saying goes, everyones a critic.